Bloomin' Bucks are Back for 2016! 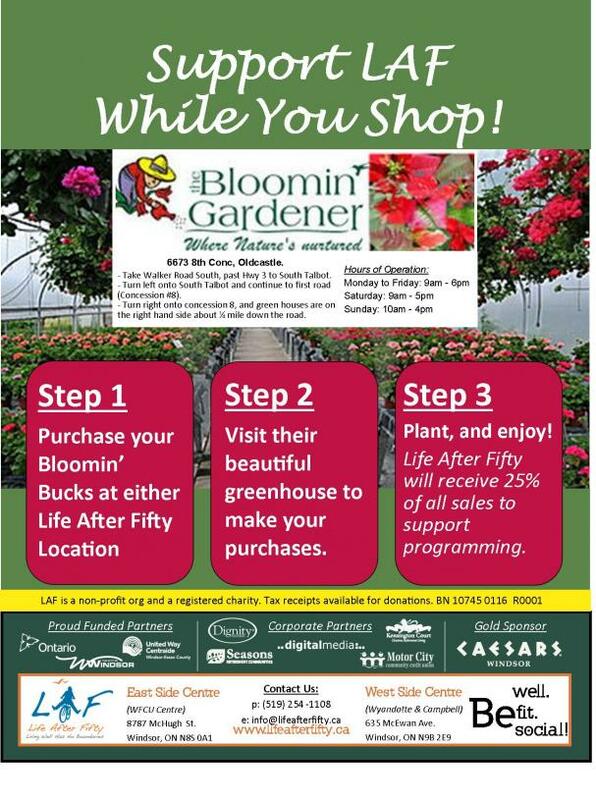 Purchase your Bloomin' Bucks at Reception! Colleen has joined the LAF team as Community Engagement Coordinator for the West Side Centre Cafe project, which is being funded by the Ontario Trillium Foundation. Please join us in welcoming her to LAF! 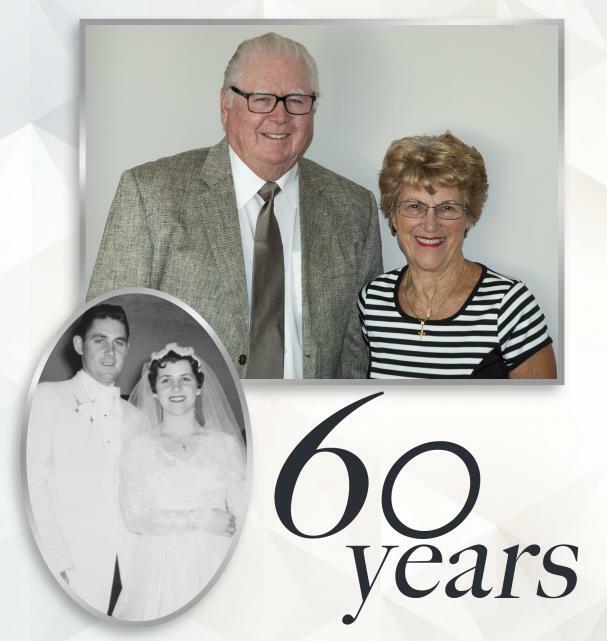 CONGRATULATIONS to LAF Members Tom and Euleen McCann on their 60th Wedding Anniversary! As their daughter says, "My parents love LAF and I think that's why they look so good!" Here's to 60 more years! Cheers!